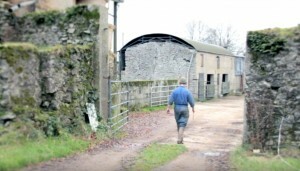 The Health and Safety Authority is currently carrying out an intensive farm safety inspection campaign, where some 250 farms nation wide will be inspected with a focus on the safe management of livestock during calving season, when the risk of injury to farmers increases significantly. Livestock is the number one cause of accidents on Irish farms, accounting for 42pc of all injuries. In relation to fatalities, incidents involving livestock are the second most common cause. In the 10-year period from 2009 to 2018, 16pc of all fatal farm accidents (33 deaths) were livestock related, with over half of these (18 deaths) involving cows and heifers. According to a Senior Inspector with the Health and Safety Authority, 2018 saw a 40pc decline in farm fatalities, but there are still far too many deaths in the agriculture sector , as well as a substantial number of very serious injuries, a lot of which do not even get reported. Working with livestock is a key incident trigger, and there is no room for complacency amongst farmers. During calving period particularly now, where there is a focus on compact calving – increased fatigue and stress levels are common. However, early planning and preparation can make a significant difference in the safe management of livestock and help prevent serious injury or even death. 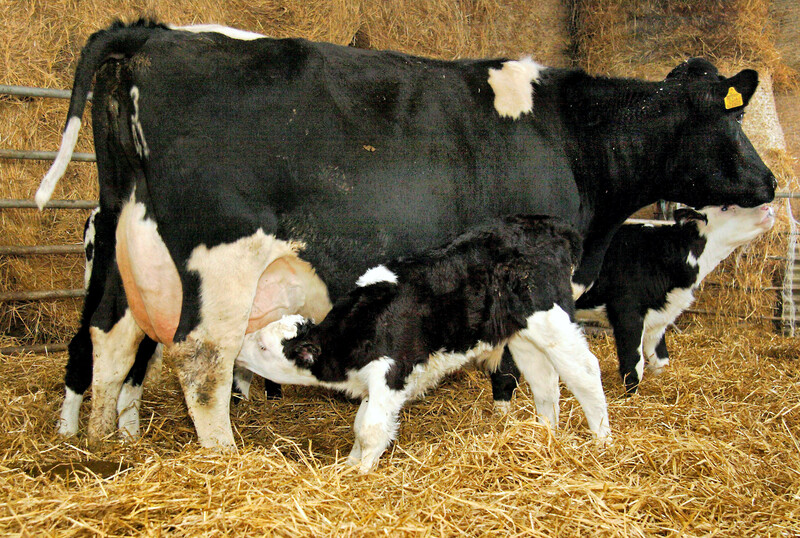 Some of the key areas of focus during these inspections should consider: whether or not there is a plan in place to minimise the risk of attack from a cow when handling a new-born calf; Is there an adequate physical barrier established between the farmer and the freshly calved cow when treating and handling calves? ; and are facilities and procedures adequate for loading and unloading animals? Good handling facilities, and holding-areas where cows can be monitored remotely are important and can help reduce farmer fatigue. Well prepared calving units with clean bedding, calving gates and the necessary equipment will ensure safety and reduce stress both on farmers and on the animal. With much of calving happening during short and often dull days, or at night, farmers are encouraged to have plenty of well-positioned lights in calving units and around the farm yard as this will greatly improve visibility and safety. The maternal instinct of the cow kicks in some hours before calving and may last for sever al days after wards. Knowing an animal ’s temperament is an advantage, but it is important to remember that any cow can attack or kick at any stage, so extreme care should be taken when handling all cows at calving as a so called quiet cow can become dangerous at calving time. Never turn your back on a cow after calving, and having a good calving gate and locking barrier is essential when assisting a cow at calving or for putting a calf sucking to avoid a kick from a cow. When managing any newborn calf, naval dipping, tagging , treatment, or so on, it is absolutely critical that there is an adequate and strong physical barrier between the farmer and the cow . The risk of attack is highest when treating the calf, as it may ball, alerting the cow whose natural protective instinct will be to attack. 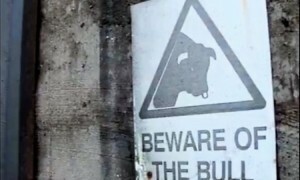 Also, be very careful when having dogs around calving pens, as this can also trigger cows to attack. The vast majority of livestock attacks and fatalities happen in this way, and farmers can prevent further serious injury or deaths by ensuring that they have a strong physical barrier in place. For anyone thinking of converting a shed into a calving house or constructing a new calving shed, it is a good idea to go and see a few calving sheds and pens on other farms in order to get ideas, and talk to farmers to get their views on how their set up is working ; Is there any change or modification they would recommend? A farmer has revealed how he was attacked and crushed against a wall by a cow trying to protect her calf. 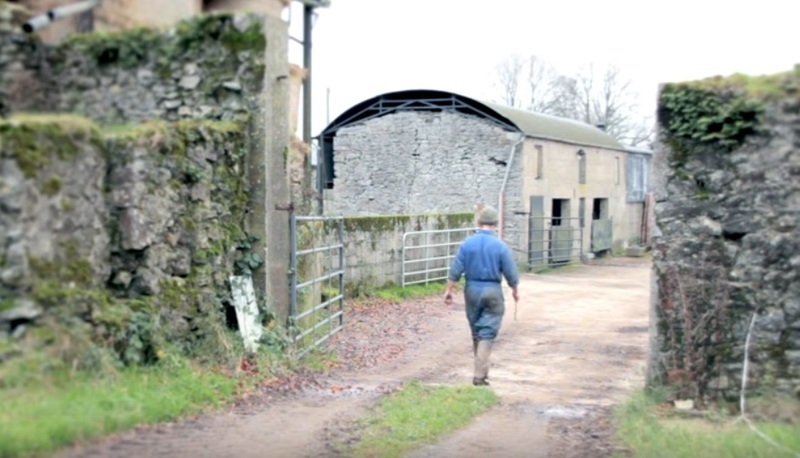 In a dramatic movie Laois dry stock farmer Dominic Leonard has revealed how he suffered severe head injuries and nearly lost his life during the incident. “It’s so easy to become complacent. When you do it every morning like I was doing and you never have any problems. Then you think you never will. “And then you do and then it’s too late,” he said. Leonard’s accident happened at calving time in the beginning of March while he was doing a routine check on his cows. Over 80% of the national suckler and dairy herds calve in the months of February, March and April and the movie has been released to remind farmers of the dangers at this time of year. “The cows were all in the sheds. I would have gone out as normal at about 8am to check the cows. “A cow took exception to me trying to tag the calf and basically just shoved me against the wall. “I cracked the back of my skull on the wall. “I somehow managed to get out of the shed and get back to the house. Unfortunately, it was Dominic’s Daughter who he met first. She was only six at the time and witnessed an horrific scene. “She found me lying in a pool of blood. She thought I was dead,” he said. Leonard who fell into a coma said “after that I disappeared for basically four months”. He praised his wife, who had to take over running the farm while he lay in his hospital bed. “She had to learn how to run a farm along with running the house and children and me being in hospital. Even when I came home she had to look after me quite a lot,” he said. Dominic highlighted the emotional damage a head injury can have on a person. “It’s really not a good place. My emotions were all over the pace. I might burst into tears for no apparent reason. It was like that for a few months. “I know my wife was scared to leave me on my own in the house. I lost my independence,” he said. “If I was able to go back and talk to myself before the accident I would say now is the time to install another gate and not waiting. “Maybe you have survived a come or maybe you haven’t.